Woah. We thought Brad Pitt and Angelina Jolie had their hands full managing six children, but Eddie Murphy has become the frontrunner of impressive parenting when he welcomed his tenth child, Max Charles Murphy, this year. The fifty-seven-year-old actor had his first child back in 1989, which means his oldest and youngest child have an age difference of 29 years. Murphy had his first child with ex Paulette McNeely, a son named Eric, born in 1989. His second child, Christian, was born in 1990 with partner Tamara Hood. 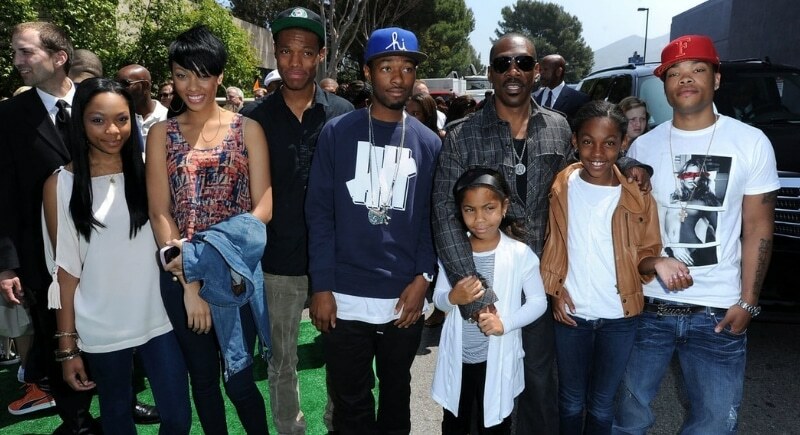 Nicole Mitchell, Murphy’s ex-wife, is the mother of his children Bria, Miles, Shayne, Zola, and Bella. The actor also has an 11-year-old daughter named Angel with Mel B of the Spice Girls. No doubt holidays and birthdays are no easy task to manage.